By 2030, there will be approximately 15 million older adults living with mental illness (up from about 6 million currently). * The average life spans of all adults, including those with mental illness, is growing, and since more and more people are living longer, the number of individuals who will develop a mental health disorder will also be growing. This means that our community will likely start seeing more older adults living with psychotic disorders. Psychosis may present as delusions, hallucinations, incoherent speech, and/or extreme agitation, and the person exhibiting these behaviors will likely be unaware of his/her state or concerning behavior. 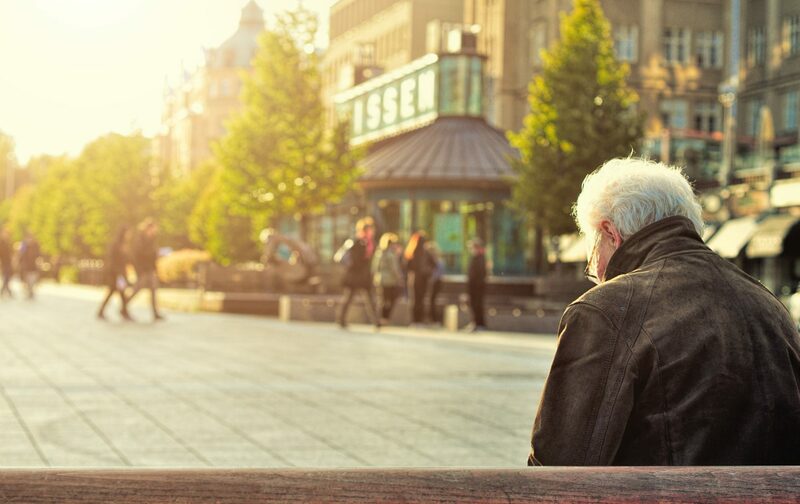 Many older adults experiencing psychosis also are likely experiencing stigma, isolation, and poor treatment in primary, long term, and acute care centers. As this population grows, it is very important for us to understand more about psychosis in older adults. Older adults have an increased risk for developing psychotic symptoms. This increased risk is caused by a combination of physical illnesses, changes in the brain and neurochemistry, social isolation, sensory deficits (such as hearing loss), cognitive changes, and polypharmacy. Frequently, we see older adults experience psychosis alongside moderate-to-severe memory disorder, comorbid medical problems, a fragile support system, and a complicated medication regime. The chronic and persistent presence of delusions, hallucinations, and other psychotic symptoms can be divided into two groups: primary psychotic disorders (e.g., schizophrenia, delusional disorder, mood disorder with psychotic features) or psychosis secondary to dementia, medications, substance use, or other general medical conditions. homeless shelters or on the street. Most older adults with schizophrenia were diagnosed before age 45 (only 10-15% of older adults with schizophrenia were diagnosed after age 45), and ideally have symptoms that have decreased in severity with age. Older adults, however, can experience a relapse of symptoms, causing an return of psychotic symptoms later in life. The most common causes of new-onset psychosis in older adults are dementia, delirium, prescription/otc drugs, infections (e.g., pneumonia or urinary tract infections), and medical conditions (i.e., congestive heart failure, chronic obstructive pulmonary disease, renal insufficiency, and anemia) may lead to psychotic symptoms. Dementia and depression (and other mood disorders) can also cause psychotic symptoms. Most people experiencing psychosis are not dangerous, and yet public perception does not match up with this fact. A violent history is the best predictor of future violent behavior, not psychotic symptoms. Someone experiencing psychosis may be a danger to themselves, as a faulty view of reality can lead to bad decision making. Treating psychosis begins with a thorough evaluation of the cause for the symptoms. If the psychosis is related to an infection, drug reaction, substance use, or medical issue, the underlying cause can be treated, making the psychotic symptoms disappear. If the psychotic symptoms are related to a mood disorder, or thought disorder, the treatment of psychosis usually involves a combination of antipsychotic medications and psychosocial therapy. For those living with dementia, an adjustment of the physical, environmental, and psychosocial triggers may help to ease symptoms. The Clinical Social Workers at Mindful Transitions are trained to assess and help older adults experiencing psychosis to adapt their thoughts and behaviors through our ongoing assessment at every visit and through regular psychotherapy sessions. We also help guide our patients and care partners in how to obtain further evaluations of the cause of the psychosis and how to get appropriate medical treatment for those other causes. For more information on our services, please call us at (678) 637-7166 and visit our frequently asked questions. *Jeste DV, Alexopoulos GS, Bartels SJ et al. (1999), Consensus statement on the upcoming crisis in geriatric mental health. Arch Gen Psychiatry 56(9):848-853.